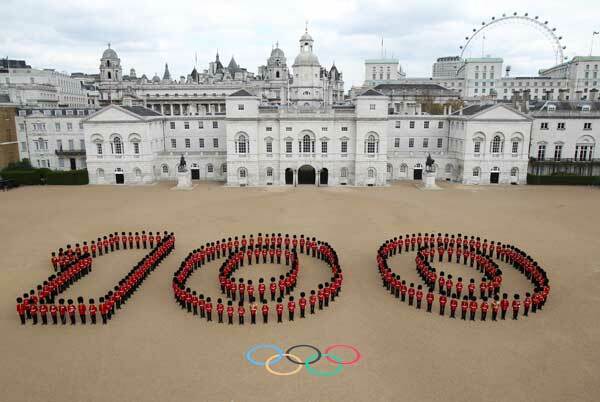 OLYMPICS: London Olympic organisers said there is now a real buzz about the 2012 Games as they started the 100-day countdown on Wednesday by unveiling its 'Inspire a generation' motto. OLYMPICS: A top Chinese sports official has played down expectations at the London Olympics, saying it will be tough to repeat the medal-table-topping performance of four years ago on home soil. GOLF: Asian golfers must work harder if they want to win another major, two of the region's leading players said Tuesday, after the US Masters highlighted a gulf in class. GOLF: England's Luke Donald will surrender golf's World No. 1 ranking to Northern Ireland's Rory McIlroy on Monday after a poor showing at the US PGA Heritage tournament. FOOTBALL: All weekend football in Italy was called off on Saturday following the death of Livorno midfielder Piermario Morosini, a player whose own private life had been plagued by a series of tragedies. CRICKET: Bangladesh may play their maiden Test series in India later this year, the Bangladesh Cricket Board (BCB) said on Tuesday. FOOTBALL: A new team will be created in Sydney and will join the domestic A-League, Football Federation Australia (FFA) said Wednesday, as a major cash injection at grassroots level was also announced. FOOTBALL: Atalanta’s Andrea Masiello has been arrested in a new probe into match-fixing in Italian football.